Emma Big Bear. (McGregor. Joan Liffring-Zug Bourret. Emma Big Bear was a revered figure in northeast Iowa for decades before her death at age 99 in August 1968. Learn about her Winnebago Tribe heritage and the handmade baskets for which she is still known during the next meeting of the Luther College Woman’s Club (LCWC). Terry Landsgaard, vice president of the Emma Big Bear Foundation, will present “Emma Big Bear and Her Winnebago Heritage” at the group’s February meeting, Tuesday, Feb. 19, at 1:30 p.m. in Peace Dining Room, Dahl Centennial Union, on the Luther campus. All women from Decorah and surrounding communities are invited to attend. Shuttle service from the Decorah Swimming Pool is available and leaves at 1:10 p.m. In addition to the program, a short business meeting, refreshments, and special music by Luther faculty or students are on the afternoon’s agenda. During the meeting, Landsgaard will provide an overview of the life of Emma Big Bear, the granddaughter of Chief Waukon Decorah. 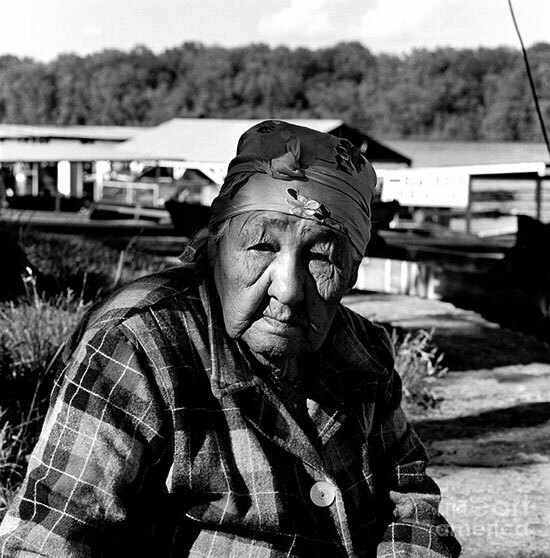 Emma Big Bear was born in 1869 to Chief Big Bear and Mary Blue Wing on the Winnebago Indian Reservation in Tomah, Wis. She spent her childhood and young adult years in Wisconsin but lived most of her life in and near small northeast Iowa Mississippi River towns. Today the Emma Big Bear Foundation preserves her legacy as a maker of handcrafted baskets and one of the last Ho-Chunk (Winnebago) who lived a traditional Ho-Chunk lifestyle in Northeast Iowa. The Rev. Fr. Terry Landsgaard was born and raised in West Union. He has been involved in education for more than 45 years and currently teaches at Upper Iowa University in Fayette. Landsgaard is an active board member of the Fayette County Historical Society and Fayette County Pioneer Cemetery and serves as vice president of the Emma Big Bear Foundation. He has given talks about Emma Big Bear and the baskets she made to various groups in Northeast Iowa. For the last two summers, Landsgaard has presented on the HoChunk Nation’s presence in northeast Iowa at programs offered at the German-American Museum in St. Lucas. He also is an ordained Anglican priest. For more information, call Bonnie Warrington, LCWC president, at 563/382-4288.